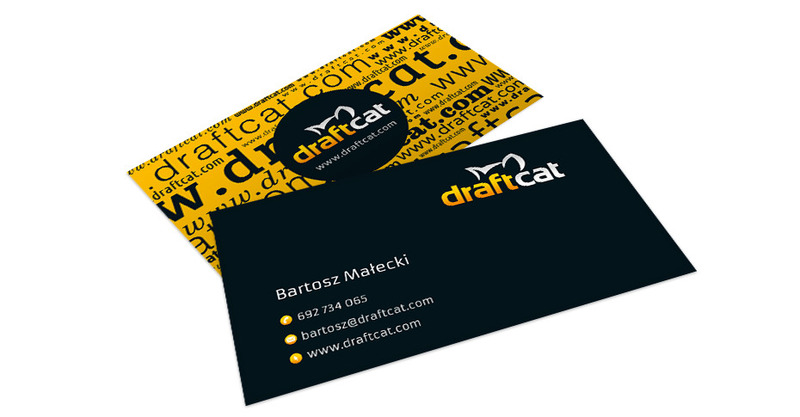 Draftcat is an innovative startup whose extraordinary - but modest at the same time - creators are planning to conquer the creative industry all over the world. And our job is to help them. The main goal was to make a brand with a capital B. A brand which will hyper-fast differ the service from its competitors. And also make the potential client thinking 'hey, this is something for me!' just when he visits the site for the first site. Our target became people from broadly defined creative industry - graphic designers, owners or managers of creative agencies and print houses, copywriters, etc. Simply talking - people whose life is filled with blood, toil, tears and sweat, but also joy and satisfaction from making something new. In this case, the strategy was simple - do everything to be hail-fellow-well-met with the target group, take liberties with her, and then become a useful and welcomed companion of everyday toil. And of course receive a nice bowl full of tasty cat food in form of as big amount of premium registered accounts as possible for it. How did it all proceed? First of all, we created the brand itself - the service name and logo, which fits the rest quite neatly. 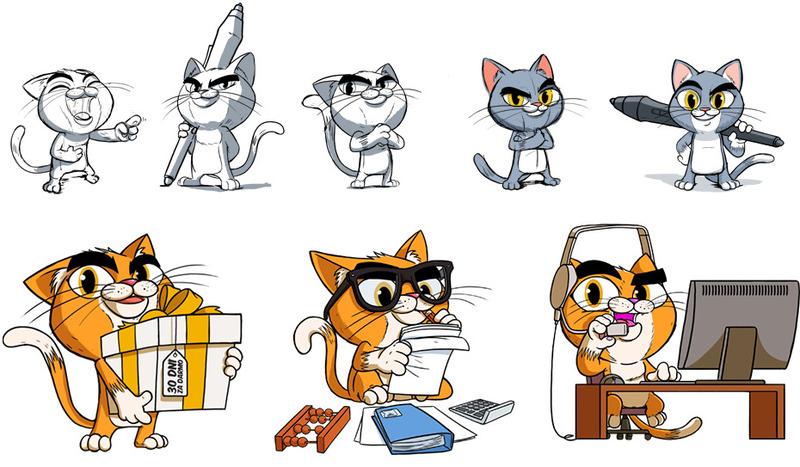 Secondly, we created a brand hero - the cat named Draft. Why a cat? Because cats are like people form creative industry - they always go their own way. Thirdly, we took care that the website will cause a major concern with all global competitors - responsive web design, brand hero, minimalistic design, good copywriting, it all had its significance. Fourth, we designed various gadgets and promotional materials. And fifth - we whispered here and there on the web that we have got here a neat, cool service for creative industry. Our clients almost poured their coffee all over themselves when the saw effects of our work for the first time. Lets just mention here that they didn't complain at all, despite the fact that it was a really good coffee, poured on some pretty expensive clothes. But did the DraftCat users also stained their clothes by their hot beverages? We don't know that, but the rapidly increasing amount of registered accounts in the service tells us that maybe it did in fact happen.